A pre-race sample was taken from Zipping Caesar. Zipping Caesar was quick to begin. Victory Post and Lagatha were slow to begin. Tekidanto and Belle Licious collided soon after the start checking both greyhounds. Victory Post was checked off Zipping Caesar on the first turn severely checking Victory Post, Hot Dot Two and Belle Licious were checked as a result. Zipping Caesar and Lagatha raced wide in the home straight. Hurricane Cindy was slow to begin. Lightfoot Lass crossed in soon after the start checking Krystal Parade, Queen Lita and Vineyard. Vineyard and Queen Lita collided on the first turn checking Queen Lita. Campbell Rose was checked off Krystal Parade on the first turn causing Campbell Rose to race wide. Alice Sprung failed to pursue the lure with due commitment on the first turn severely checking Alice Sprung, Prince Ferno and Lightfoot Lass. Alice Sprung galloped on Lightfoot Lass approaching the home turn severely checking Lightfoot Lass. Vineyard and Queen Lita collided several times on the home turn and again entering the home straight. Prince Ferno and Krystal Parade collided in the home straight. Prince Ferno was vetted following the event. It was reported that there was no injury apparent. Lightfoot Lass was vetted following the event. It was reported that the greyhound sustained an injured left triangle muscle and a spike wound to the left stopper, a 5 day stand down period was imposed. Alice Sprung was vetted following the event. It was reported that there was no injury apparent. Trainer Mr. T. Whitford declined his option to have the greyhound re-vetted. Stewards spoke to Mr. T. Whitford the trainer of the greyhound Alice Sprung regarding the greyhound's racing manners on the first turn. Acting under GAR 69(A)(1) Stewards charged Alice Sprung with failing to pursue the lure with due commitment. Mr. Whitford pleaded guilty to the charged, Alice Sprung was found guilty and suspended for 28 days at Warragul and it was directed that the greyhound perform a satisfactory trial all tracks pursuant to GAR 69(A)(2)(a) before any future nomination will be accepted. Stewards spoke to Mr. L. Fulford the trainer of Prince Ferno and issued him with a severe reprimand regarding his tardiness boxing the greyhound pursuant to GAR 51(9). A pre-race sample was taken from Miss Walt. Just Blacky and Sweet Spolly were slow to begin. Miss Walt and Heard It Before collided soon after the start. Heard It Before and Brindle Ninja collided on the first turn checking Heard It Before. Sweet Spolly was checked off All You Got entering the home straight. All You Got and Just Blacky collided in the home straight. Heard It Before was vetted following the event. It was reported that the greyhound sustained an abrasion to the left stopper, a 3 day stand down period was imposed. Stewards spoke to Mrs. J. Stephens the trainer of Voluptuous Blue regarding the length of time the greyhound has had between races. Voluptuous Blue last raced on 21/07/18. Mrs. Stephens stated the greyhound was returning to racing following the amputation of a left hind toe. Philo Bale and Tilley's Pie collided approaching the first turn checking Philo Bale. Joni Sunset and Oriental Tarj collided on the first turn checking Oriental Tarj. Voluptuous Dot raced wide entering the home straight. Hurricane Craig was quick to begin. Wolfie's Squeeze and Super Attitude collided on the first turn checking Wolfie's Squeeze, Super Attitude and Boone. Boone galloped on Wolfie's Squeeze approaching the home turn checking Boone. Slick Maggie and Midnight Marzy were quick to begin. Row Tay Tom and Keno Bale collided on the first turn checking Row Tay Tom, Jupiter Jones and Keno Bale. Jupiter Jones raced wide entering the home straight and in the home straight. Galaxy Star was vetted following the event. It was reported that the greyhound sustained fractured left hock and was humanely euthanased. A pre-race sample was taken from Good Move. Swift Gem, Nitro Gee and Ima Ghost Buster were quick to begin. Swift Gem and Nitro Gee collided approaching the first turn. Toby Sure was checked off Nitro Gee approaching the first turn. Toby Sure and Galloping Bluboy collided on the first turn checking Toby Sure. Toby Sure gallped on Galloping Bluboy on the first turn. Spin The Trolley clipped the heels of Nitro Gee approaching the home turn. Go Didda Go was slow to begin. Tantalise clipped the heels of Mac on the first turn. Keen Gem was checked off Mac approaching the home turn. Macalister Mac eased approaching the home turn. Go Didda Go raced wide in the home straight. Keen Gem and Mac collided approaching the winning post. Stewards spoke to Mr. L. Jennings the trainer of the greyhound Macalister Mac regarding the greyhound's racing manners approaching the home turn. Macalister Mac was vetted following the event and after being re-vetted following event 12, it was reported that the greyhound sustained an injured left calf and an abrasion to the left hind metatarsal, a 5 day stand down period was imposed. Acting under GAR 69(B)(1) Stewards charged Macalister Mac with failing to pursue the lure with due commitment by reason of injury. Mr. Jennings pleaded not guilty to the charge, Macalister Mac was found guillty and Stewards directed that the greyhound perform a satisfactory trial all tracks pursuant to GAR 69(B)(1)(a) before any future nomination will be accepted. Hurricane Billie, Pacific Action and Sapphire Hawke collided soon after the start severely checking Pacific Action which fell. Mt. View Gift and Oz Wizard collided on the first turn checking Mt. View Gift. Pacific Action was vetted following the event. It was reported that the greyhound sustained an injured left monkey muscle and left triangle muscle, a 7 day stand down period was imposed. Stewards spoke to Mr. E. Lieshout the trainer of Parumba Taylah regarding the length of time the greyhound has had between races. Parumba Taylah last raced on 16/07/18. Mr. Lieshout stated the greyhound was returning to racing following a seasonal spell. Mr. Lieshout declared a new weight of 28.5kg for the greyhound in accordance with GAR 39(2). Parumba Taylah last raced at 26.8kg. Stewards spoke to Mrs. K. Fogarty the trainer of Rosie Glenda regarding the length of time the greyhound has had between races. Rosie Glenda last raced on 09/07/18. Mrs. Fogarty stated the greyhound was returning to racing following a change of kennel. Burning Steel was slow to begin. Where's Marcia stumbled soon after the start and subsequently pulled up. Sharpo was checked off Parumba Taylah approaching the home turn. Fairytale Ending and Parumba Taylah collided on the home turn. Rosie Glenda was checked off Parumba Taylah on the home turn checking Rosie Glenda and Sharpo. Pacific Beach and Rosie Glenda collided in the home straight. Where's Marcia was vetted following the event. It was reported that the greyhound sustained a fractured left femur and was humanely euthanased. A pre-race sample was taken from Indira's Girl. Galloping Wytee and Red Queen collided soon after the start. Weeona Gina, Bolare, Totally Bullish and Galloping Wytee collided on the first turn checking Weeona Gina, Bolare and Totally Bullish and severely checking Galloping Wytee which fell as a result. Totally Bullish was vetted following the event. It was reported that the greyhound sustained a laceration to the right hind foot, a 21 day stand down period was imposed. Galloping Whytee was vetted following the event. It was reported that the greyhound sustained an injured left thigh, a 5 day stand down period was imposed. Mossy Oak crossed to the rail on the first turn checking Hardy's Banjo, Cartwheel Chloe and Five Lights, Cartwheel Chloe faltered, lost ground and subsequently tailed off. Gone Early and It's Debatable collided on the first turn checking It's Debatable. Hardy's Banjo and Five Lights collided approaching the home turn checking Hardy's Banjo. Gone Early and Walkin' The Walk collided approaching the home turn checking both greyhounds. It's Debatable and Walkin' The Walk collided entering the home straight. Cartwheel Chloe was vetted following the event. It was reported that the greyhound sustained an injured left back muscle, a 60 day stand down period was imposed. Tell Nobody trialled over 400 metres from box 6, weight 33.3kg, the greyhound was placed first in a field of 4. The time of the trial was 22.35 secs, the greyhound won by a margin of 6.75 lengths. Tell Nobody was cleared. 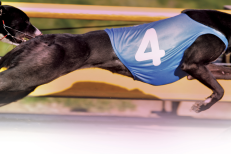 Lightwood Lass trialled over 400 metres from box 1 weight 30.6kg, the greyhound was placed fourth in a field of 4. 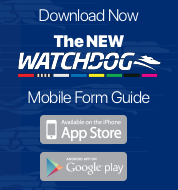 The time of the trial was 22.35 secs, the greyhound was beaten by a margin of 10.5 lengths. Lightwood Lass was cleared. Mahjong Magic trialled over 400 metres from box 8, weight 34.1kg, the greyhound was placed second in a field of 4. The time of the trial was 22.35 secs, the greyhound was beaten by a margin of 6.75 lengths. Marjong Magic was cleared.